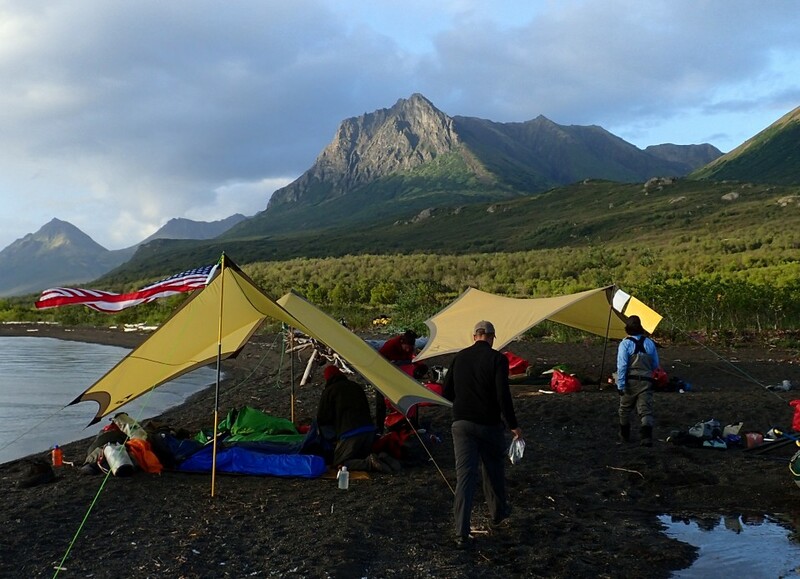 A Veterans Expedition adapting the concept of “LRRP”, Long Range Reconnaissance and Patrol to Expeditionary travel and Fly-fishing in wilderness Alaska. 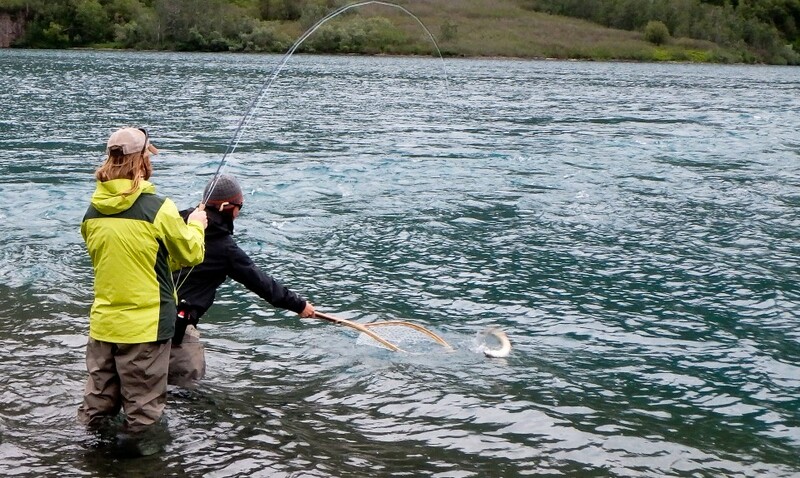 The fly-fishing LRRP concept was a brainchild of Nick Watson co-founder and Director of “Veterans Expeditions.” He wanted to involve military veterans in expeditionary planning, travel, and fly fishing in a much more profound way than being passive recipients of a “fully guided fly fishing trip”. Nick wanted veterans to experience something more authentic, something with an “edge” that you could feel viscerally and not something “canned” with passive participation. 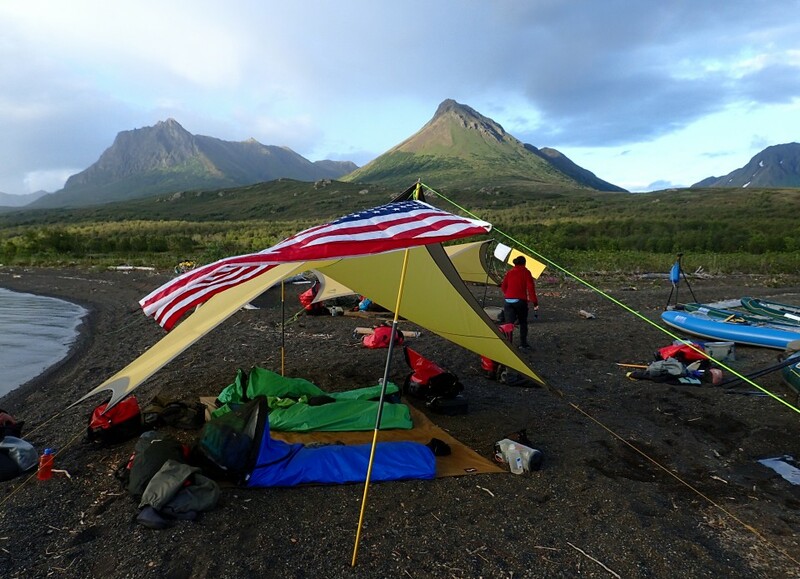 Nick wanted the Veteran participants to “own” the physical challenges and to experience the wilderness profoundly. The LRRP fly-fishing trip was born. We’d travel light, scout waters about which little was known, rely on each other as a team, and with a little luck catch some wild fish on the fly! The morning weather briefing forecast challenging weather but the rain and low clouds lifted enough for visual flight and 8 of us in float planes departed for the bush. We flew into the headwaters of a river deep in the wilderness where Nick had reason to believe that we’d experience complete solitude in an alpine setting where the team could assemble rafts and form teams of paddlers. Then we’d train for the mission. 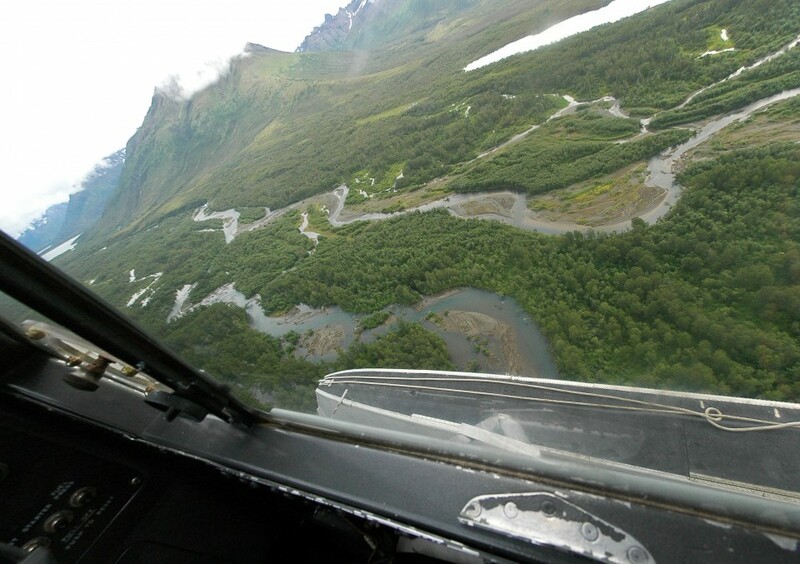 From the aircraft we scouted the hazards of the upper river and all were awestruck by the remoteness and beauty. 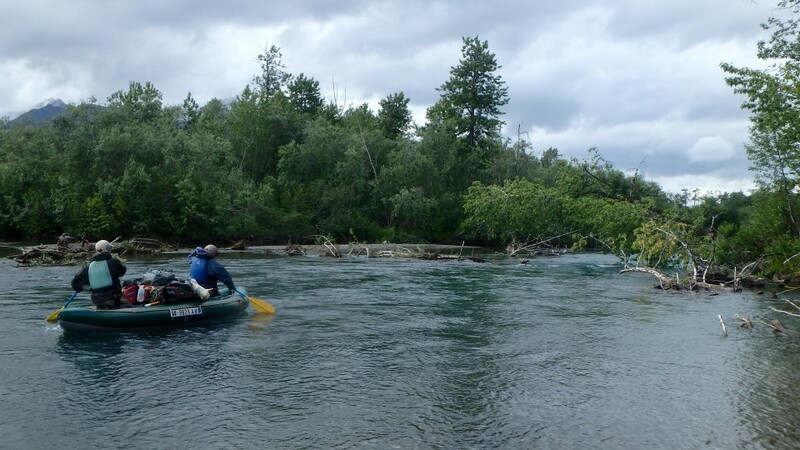 The team foresaw the complexity of navigating the shallow channels and the challenges of route finding through passages choked with Cottonwood tree sweepers and tangled root wads. 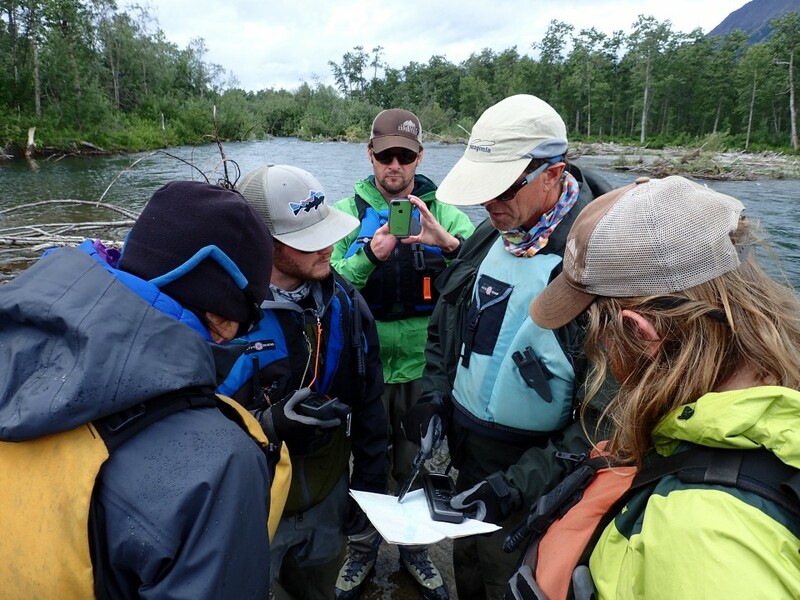 For 2 days Nick and the participants trained as paddle teams on the headwater lake. To descend the outlet river we had to get the teamwork right. 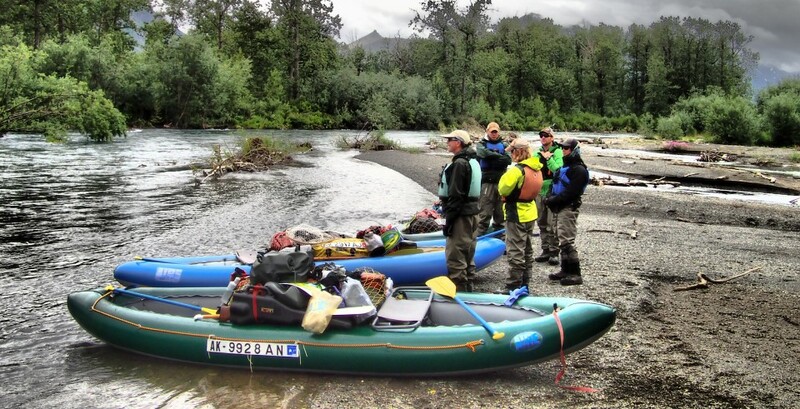 The paddle training was critical to the success of the LRRP because unlike a guided raft trip where a guide, alone controls the river navigation -in a paddled craft much more teamwork is involved applying power and steering strokes. Fly rods were rigged and the angler/veterans who each had different amounts of fly-fishing experience practiced the techniques they’d need to augment their rations with fresh fish protein. 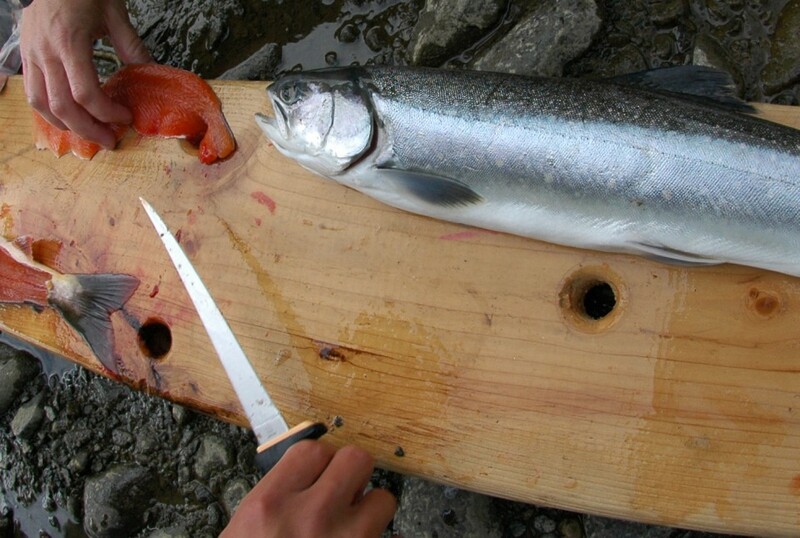 For this type of fishing they cast large streamers imitating baitfish and took some hungry Arctic Char. From the log of day three. July 12, 2014. 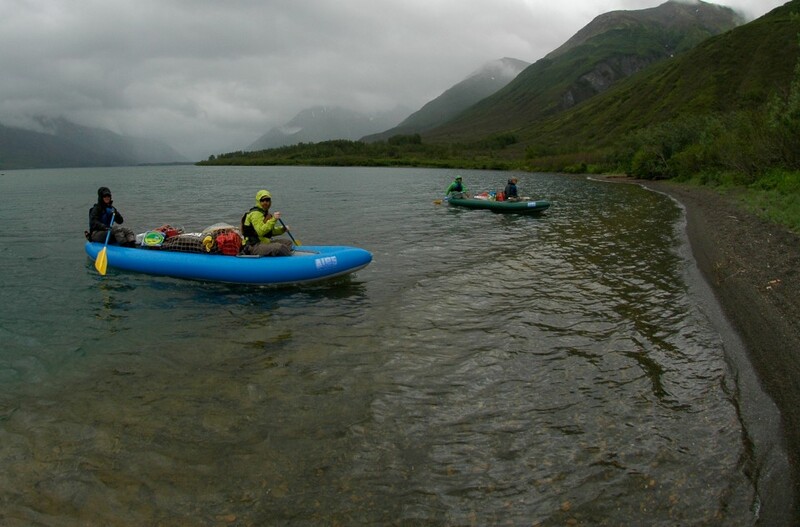 “We formed up, into paddle teams who’d stay together for the critical downriver portion and shoved off paddling down lake toward the outlet river through a series of rain squalls. We savored the alpine headwaters environment but were eager for the pull of the current downstream. Down lake there were gusty winds off a snowfield but we gathered confidence as paddle teams. At the outlet some Chum Salmon and a few pods of Sockeye were staged but our focus was on safe wilderness travel so we passed up on that fishing. We had a LRRP safety meeting at the outlet where the river gathered strength. 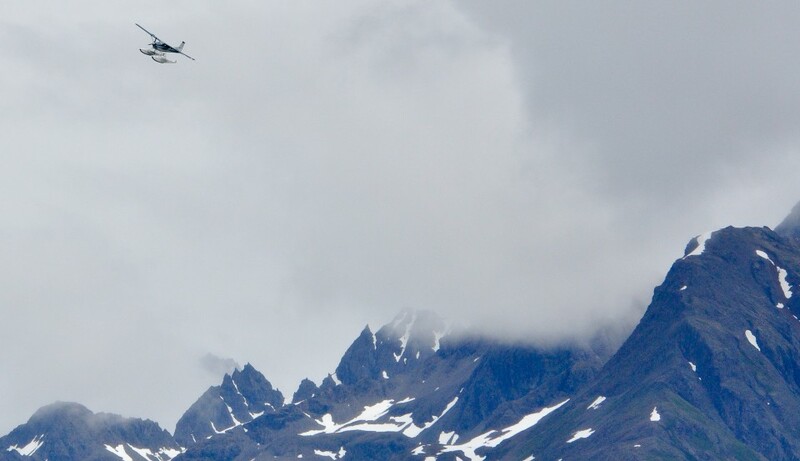 We discussed what we’d seen in the inbound aerial reconnaissance: ”narrow swift channels, log jams, overhanging willow sweepers, a few rocks, and some flood scoured gravel bars”. We had not seen very many easy- “no brainer” route choices. We decided we would try to send a scout boat ahead whenever the channel outcome was in doubt to prevent pinning a raft against logjams. Then we began the descent. The outcome was unknowable. I can’t speak for the rest of the team but “I was very anxious”. 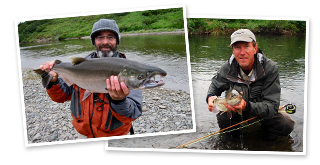 I’ve done enough descents of rarely run and never-run rivers & creeks in Alaska to know that they don’t all “work out”. This one, although we’d scouted it from the air, might kick our butts if there were major channel obstructions combined with fast current. I knew that the combat Veterans probably had a higher threshold for adrenaline and the unknown than I had. The teamwork they had developed earlier was critical and hour-by-hour they scouted and ran narrow channels. I’ll never forget the state of alertness of all members of the team. There was not much slack in what the river offered them. There was a slim line between running a “good line” down river through the sweepers and capsizing a boat and needing a rescue. We paddled down a river about which little is known. No surprise that the guys dug deep and coordinated control of the boats through the narrow channels, eddies, & hazards. There were some “nail biter moments” where once you’d cleared the obstructions with your own boat then you considered the rescue options if your pals behind were in trouble. Although no one else mentioned it that day, my adrenal glands had all the stimulus they needed. Each camp was different and we adapted to what we found. 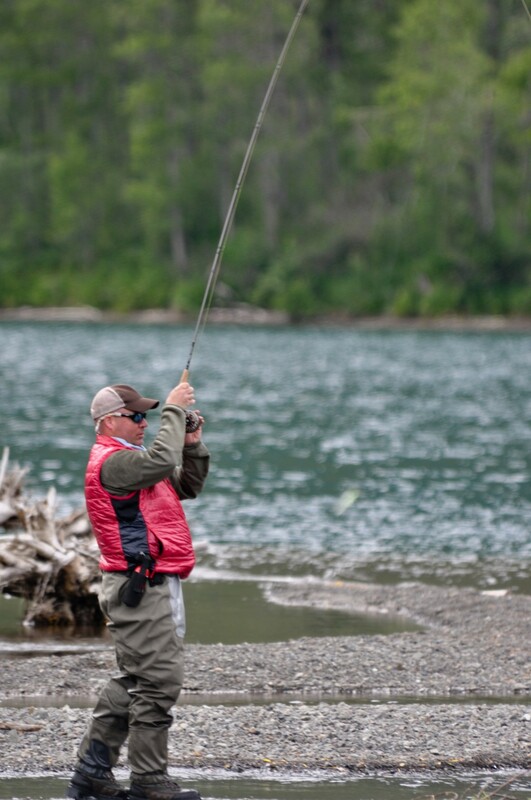 We had camps with good fishing and camps where we worked overtime to catch dinner. We had some of the most scenic camps of our lives. We even had camps without any biting insects where a person could sleep under the stars. 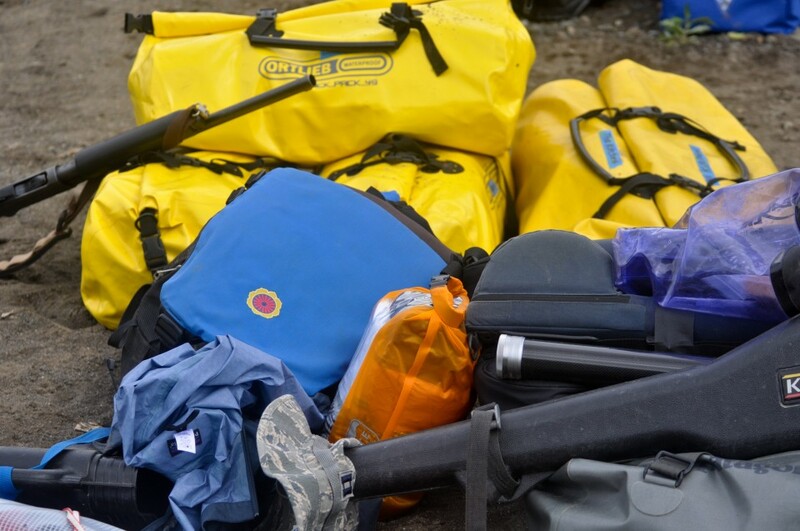 Like a military campaign; dealing with gear weight is a large part of Alaskan expeditionary planning. In the case of the Veterans Expedition we had the initial constraint of fitting our gear & body weight into high performance, bush capable, aircraft and then the further constraint of moving the gear across the landscape by muscle power. Obviously with these very fit veterans the muscle part of moving gear was not a big issue but weight would be a big issue in boat performance. The heavier the boats the less maneuverable they’d be in the narrow river channels. 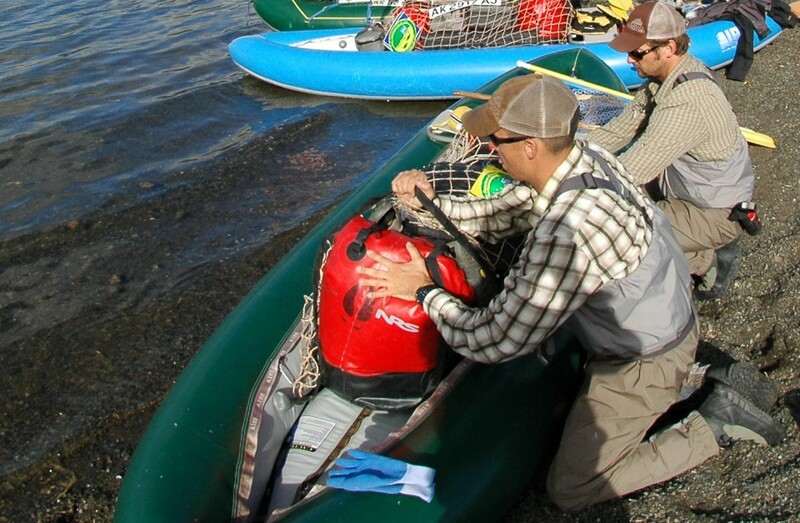 What gear to leave behind to improve boat performance? Food & clothing obviously could be cut back. 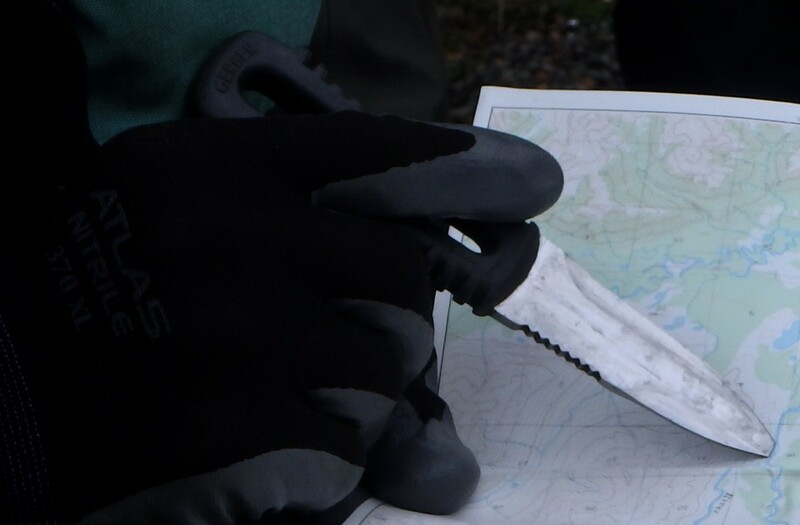 From the earliest stages of planning we considered what our shelter options were with respect to travelling light. To sleep in tents or no tents? We opted to travel without tents to save forty pounds. 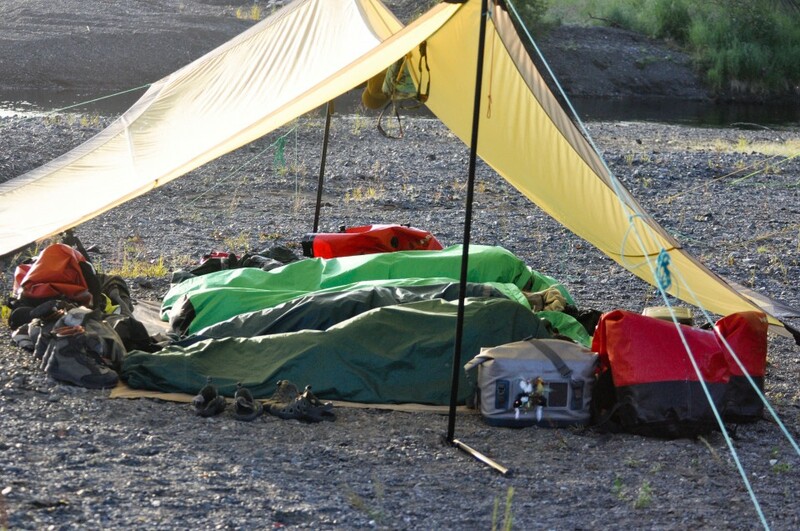 We planned to sleep in Black Diamond Bivy sacks clustered under 2 communal shelters. The fishing was a challenge for the entire trip. It was never “stupid”, never easy, and while we released the small char we eagerly cooked some larger fish to feed the crew. In the evenings the camp was pitched and the flag raised. In the mornings the flag was properly folded and stowed for travel. This was a flag recently retired from military duty aboard aircraft flying medevac missions in Iraq and Afganistan. 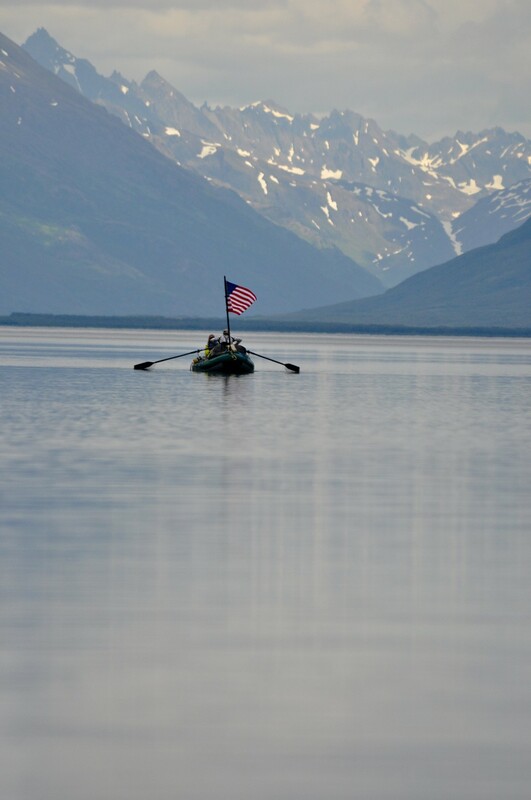 This was flown to honor the soldiers that had served in order that some could experience the vastness, solitude, wildness, and freedom of America’s wildlands. We paddled on and searched for fish- finding them generally at the confluences of tributaries. 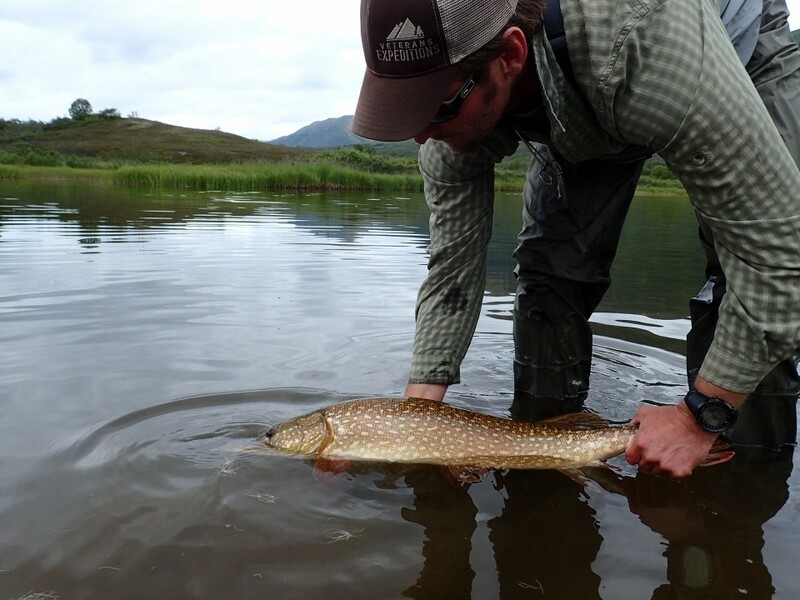 We were early in the season and the migratory Salmon & Dolly Varden Char were just beginning to arrive in this watershed. Then we explored a tannic, tea stained, creek where baby Mallard ducklings rested. 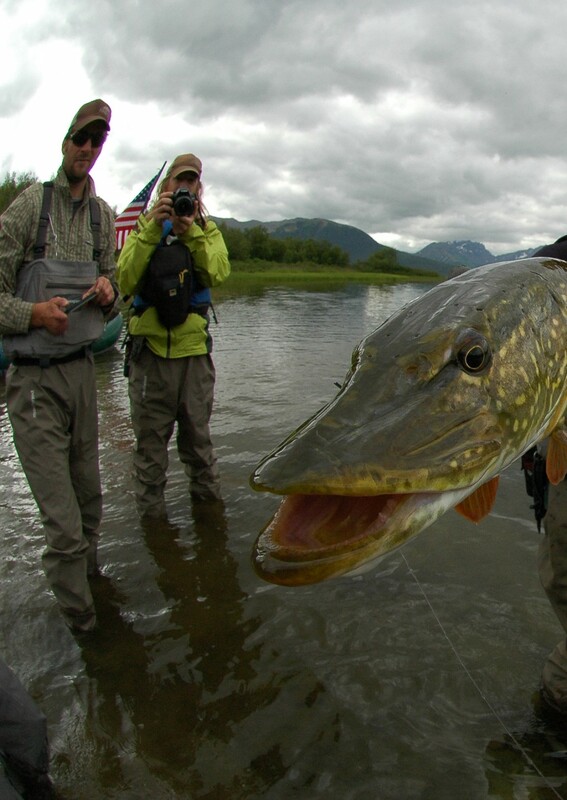 An explosion rocked the water as a Northern Pike attacked a mouse pattern fly. 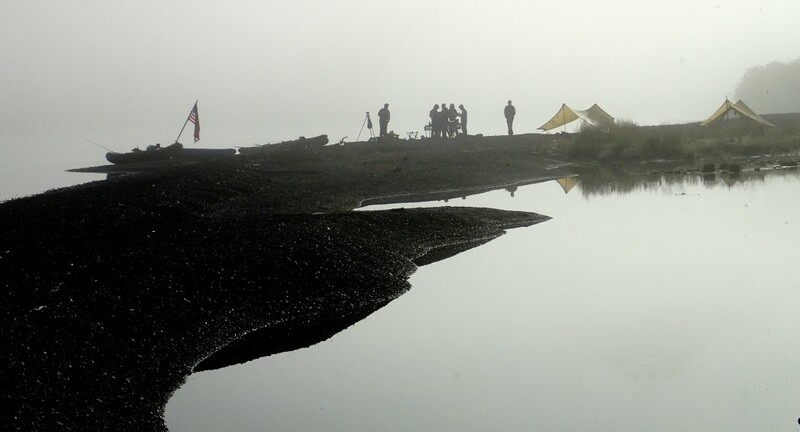 We paddled on to our final camp aware that good fortune allowed these men to have survived hostile military actions. 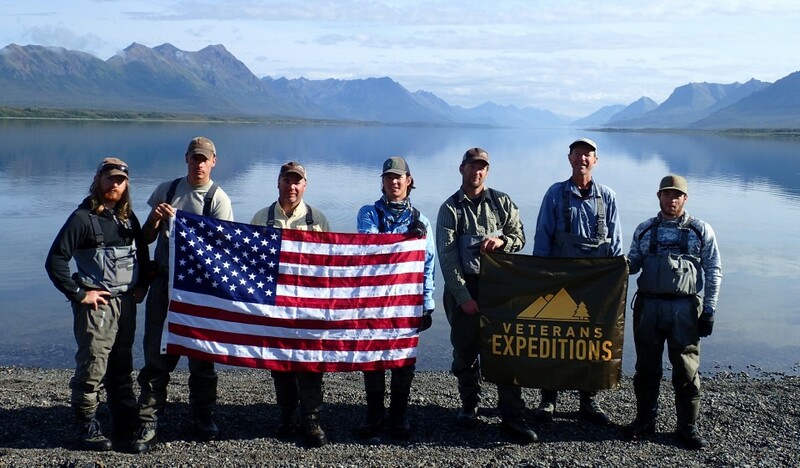 They re-entered civilian life and brought all their training & passion for teamwork together with their love of the outdoors to accomplish the Veterans Expeditions Alaska Long Range Reconnaissance & Patrol mission safely and successfully.